The spacecraft’s closest approach to the cosmic object, known as Ultima Thule, comes 1 January at 5.33am. NASA’S UNMANNED NEW Horizons spacecraft is closing in on its historic New Year’s flyby target, the most distant world ever studied, a frozen relic of the solar system some 6.4 billion kilometres away. The cosmic object, known as Ultima Thule, is about the size of the US capital, Washington, and orbits in the dark and frigid Kuiper Belt about a billion miles beyond the dwarf planet, Pluto. The spacecraft’s closest approach to this primitive space rock comes 1 January at 5.33am. “This is a time capsule that is going to take us back four and a half billion years to the birth of the solar system,” said Alan Stern, the principal investigator on the project at the Southwest Research Institute, during a press briefing today. “We’ve never been to a type of object like this before,” said Kelsi Singer, New Horizons co-investigator at the Southwest Research Institute. About a day prior, “we will start to see what the actual shape of the object is,” she said. The spacecraft entered “encounter mode” on 26 December, and is “very healthy,” added Stern. New Horizons’ eagerly awaited “phone home” command, indicating if it survived the close pass – at a distance of just 3,500 kilometres – is expected 1 January at 3.29pm. Until then, the New Horizons spacecraft continues speeding through space at 51,500 kilometres per hour, travelling almost a million miles per day. “Because this is a flyby mission, we only have one chance to get it right,” said Alice Bowman, missions operations manager for New Horizons. 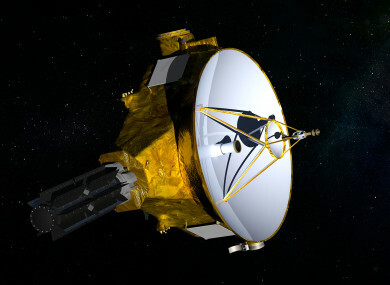 Email “Nasa's New Horizons spacecraft closing in on most distant world ever studied”. Feedback on “Nasa's New Horizons spacecraft closing in on most distant world ever studied”.